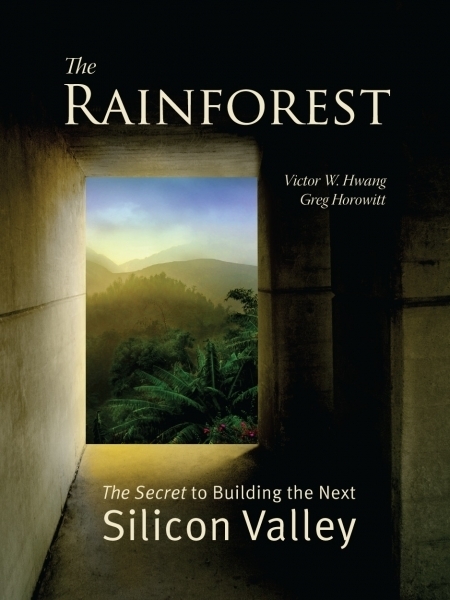 After my introductory post about The Rainforest – The Secret to Building the Next Silicon Valley by Victor W. Hwang and Greg Horowitt, which focused on the importance of trust, here is a second piece about culture. The final part will describe how the authors claim they know the recipe to build rainforests. What is remarkable with the Rainforest is the ambition to explain that innovation is mostly cultural so that at the micro-level it cannot really be engineered, but at the macro-level rainforests can be built. I am not sure the authors are right, but the effort is really to be recognized. America is the building of a society not burdened by historical tribes. […] They are less chained to the past. Instead Americans tend to be identified by self-reliance. […] People still run to California today. It is commonly regarded as the land of pioneers, nonconformists, artists, and rebels. [Page 116] Culture is critical to the way economic systems function because it provides the rules of engagement between people that hopefully can maximize their collective well-being. [Page 118] The authors are not naïve but claim that all these people need to find the right balance. A venture capitalist is caught between trying to own as much of a company as possible and trying to leave enough equity in the hands of the entrepreneurial team to keep them fully incentivized. […] A VC wants to preserve a reputation. [Page 119] Innovative behavior is not driven by rational maximization. There are in fact other forces, which can be called extra-rational: competition, altruism, adventure, discovery, creativity, meaning, concern. Here I cannot avoid mentioning the great (counter-)example of Orson Welles about the Scorpio and the Turtle… Hopefully nature is not everything, culture matters. Much lower probability of failure from a broad community of fellow innovators. –	Seek fairness, not advantage. –	Err, fail and persist. 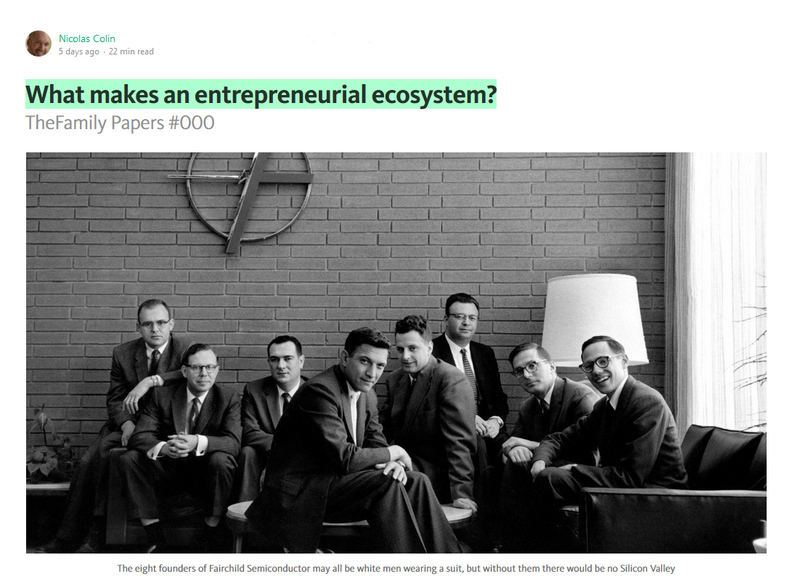 This entry was posted in Innovation, Must watch or read and tagged Cluster, Ecosystems, Orson Welles, Rainforest, Silicon Valley and Europe on May 9, 2017 by Hervé Lebret. Regularly but not often enough I read about people calling Europe to wake up and react. 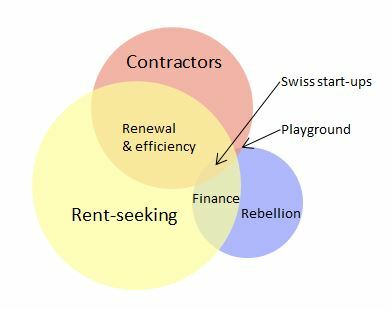 Recently it was Nicolas Colin’s What makes an entrepreneurial ecosystem. But now I also remember Risto Siilasmaa’s Entrepreneurship should be cherished” and I had my own Europe, Wake Up!. 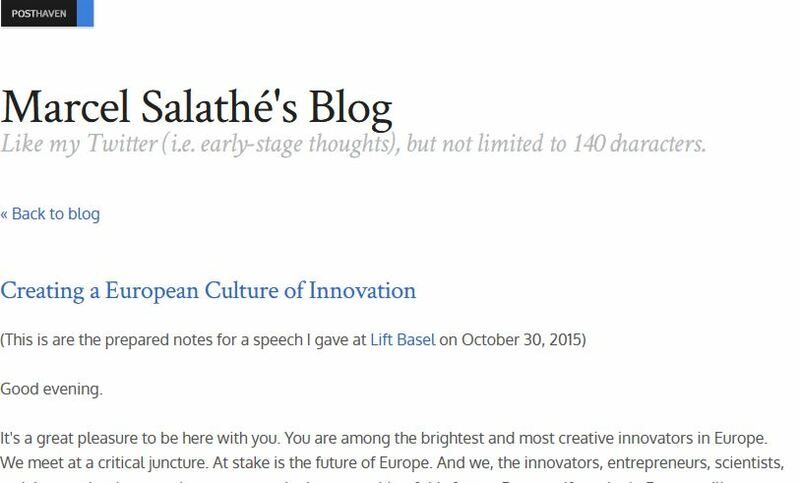 The latest of these is Marcel Salathé’s Creating a European Culture of Innovation. Another must read. Thanks Marcel! So let me just quote him. At stake is the future of Europe. And we, the innovators, entrepreneurs, scientists, activists, and artists, need to step up and take ownership of this future. Because if we don’t, Europe will continue its downward trajectory that it’s currently on, and become what it many places it already has transformed into – a museum of history. The information and communication technology sector is now the dominant economic driver of growth. Think Apple, Google, Facebook, Amazon, Uber. Noticed something? Not a single European company. Only 1 out of 4 dollars in this sector are made by European companies, and all the indicators for the future are pointing down. Some numbers are even more dire: when you list the top 20 global leaders of internet companies that are public, you know how many are European? Zero. And among all publicly listed companies in the digital economy, 83% are American, and a mere 2% are European. 2%! So where’s the problem? Some say it’s VC funding, which is only partially true. Yes, the culture of VC funding is probably less mature in Europe than it is in the US, especially for stage A, B and C funding. But money will find its way into good ideas and market opportunities one way or another. 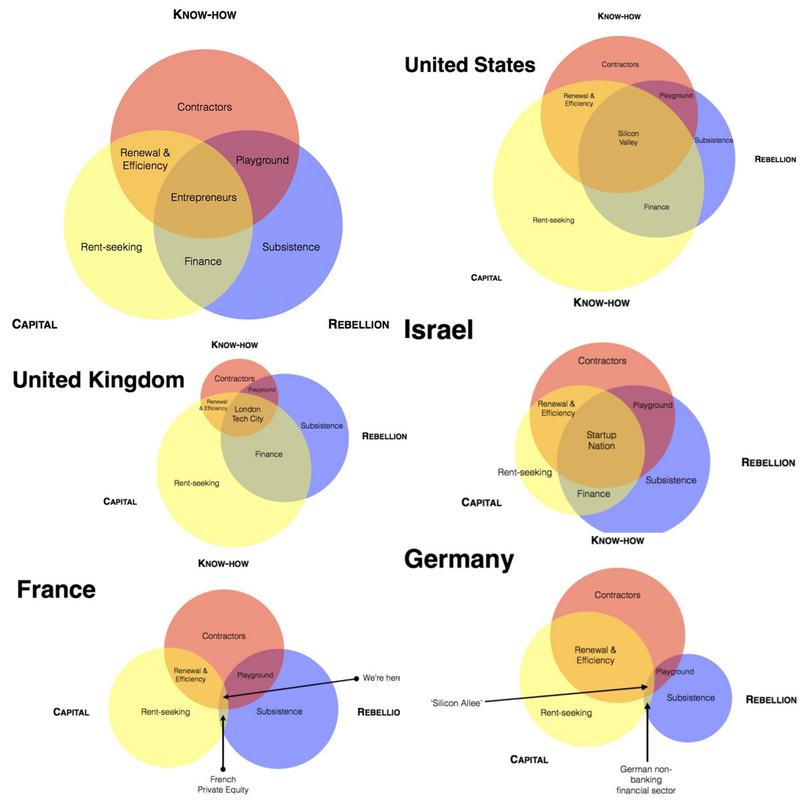 Others say it’s simply the European market, and European regulation. I think that is an illusion. Look at AirBnB, the US startup that now has a valuation of over 25 Billion dollars. It was started as a three person startup in California’s Y Combinator, but it now gets over half(!) 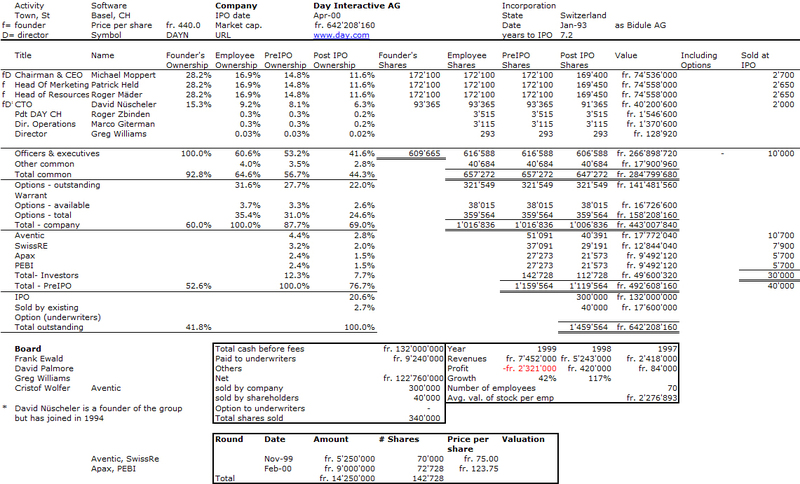 of its revenues from within Europe. And by the way, San Francisco is probably one of the worst regulatory environments you can find yourself in. AirBnB is currently facing huge battles in San Francisco, and a Californian judge recently ruled Uber drivers employees, causing a minor earthquake in the booming sharing economy. Indeed, California is probably one of the most regulated of the American States, and yet it does exceedingly well. I think that the problem is actually quite simple. But it’s harder to fix. It’s simply us. We, the people. We, the entrepreneurs. We, the consumers. I have lived in the San Francisco Bay area for more than three years. What’s remarkable about the area is not its laws, or its regulations, or its market, or its infrastructure. What’s truly remarkable is that almost everyone is building a company in one way or another. Almost everyone wants to be an entrepreneur, or supports them. Almost everyone is busy building the future. Indeed, you can almost physically feel that the environment demands it from you. When someone asks you about what it is you are doing professionally, and you don’t respond by saying that you’re building a company, they look at you funny, as if to say, “then what the hell are you doing here”? It’s not a trivial point I think. The other day, I was in Turin in Italy, and I desperately needed a coffee. I walked into the next random coffeeshop, where I was served a heavenly cappuccino, with a chocolate croissant that still makes my mouth wet when I just think about it. Was I just lucky? No – all the coffee shops there are that good. Because the environment demands it. Sure, you can open a low-quality coffee shop in Turin if you want to, but you’ll probably have to file for bankruptcy before you have the time to say buongiorno. The environment will simply not accept bad quality. In another domain, I had the same personal experience when I was a postdoc at Stanford. Looking back, all of my best and most cited papers I wrote there. I don’t think it’s coincidence. Every morning, as I was walking across campus to my office, I could sense the environment demanding that I do the most innovative work – if I didn’t, then what the hell was I doing there? So this is my message to you. I’m asking you to create those environments, both by doing the best and most innovative you can, but also by demanding the same from everyone else around you. These two things go together; they create a virtuous circle. Don’t ask for permission, ask for forgiveness if necessary. If you are waiting for permission, you will wait for the rest of your life. Most rules exist for a simple reason: to protect incumbents. Don’t ask for permission, just go and do it. So please, let us all live in the future and build what’s missing – here in Europe. I am worried sick that the easiest way for me to live in the future is to buy a ticket to San Francisco. Just like the easiest way for Americans to relive the past is to buy a ticket to Europe, rich in history. I’m asking you to become even more ambitious, more daring, and more demanding, both of yourself, but most importantly also of your environment. Salathe talks also about role models. His was the founder of Day Interactive, a Swiss start-up which went public in 2000 before being acquired by Adobe for $250M in 2010. So coming next… its cap. table.. This entry was posted in Innovation and tagged Europe, Innovation, Orson Welles, Role Models on November 13, 2015 by Hervé Lebret.